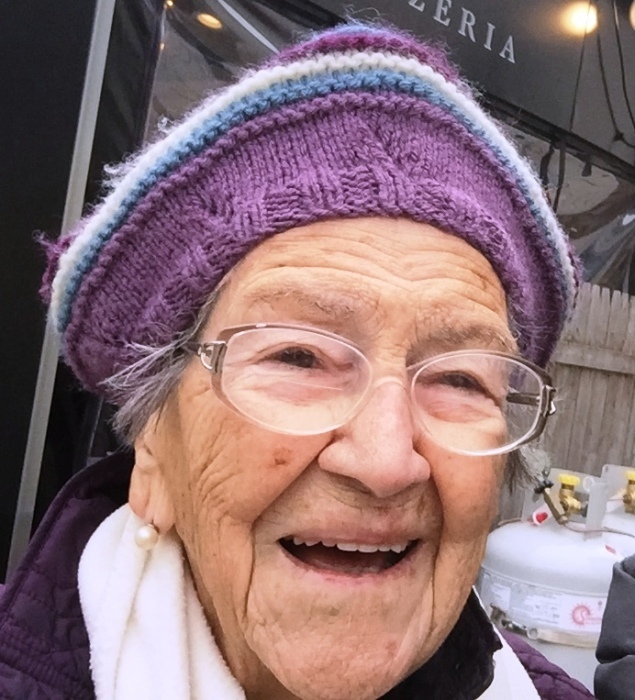 Obituary for Mabel Elizabeth (Zoglio) Arsenault | George C. Lima Funeral Home, Inc.
Mabel Elizabeth (Zoglio) Arsenault, 99, of Hope Street passed away on February 12, 2019 at Miriam Hospital. She was the wife of the late Everett Leo Arsenault. Born in Cranston, she was the daughter of the late Joseph and Alfretta (Reynolds) Zoglio. She is survived by her sons Dennis Arsenault and his wife Kimberly Olson of Lafayette, CA and Robert Arsenault and his wife Denise of Bristol. She was the grandmother of Daniel Arsenault, Noel Arsenault, Julian Arsenault, Tessa Arsenault, Jean-Paul Arsenault, Jacques Arsenault, Andre Arsenault, Elise Arsenault, Marcel Arsenault and great grandmother of Leo, Myles, Charlotte, Madelyn, Hugo, Andre and Zoe Arsenault. Mrs. Arsenault was devoted to her siblings and mother throughout their lives, managing the financial affairs and comfort of several of them in their final years. She traveled to Europe, Hawaii and throughout the United States over the course of her life, but especially enjoyed her visits to her sons’ homes on the West and East Coasts. She is remembered with love by the partners and spouses of her grand children as well as numerous nieces, nephews and friends. She was known for her skill at creating delicious Italian food. Many recipes remain with and are cherished by the family. She was a woman capable of re-inventing herself after the loss of her husband and several relocations. Mabel cooked for, exercised, bowled, danced, played cards and celebrated with her friends at Benjamin Church Senior Housing and later Franklin Court Assisted Living. Family and friends are invited to attend a Mass of Christian Burial, Saturday, February 16th, 2 PM at St. Mary’s Church, 330 Wood Street. Burial will be private. Donations in her memory may be made to: The Activities Fund at Franklin Court Assisted Living in Bristol. Arrangements are with the George Lima Funeral Home.